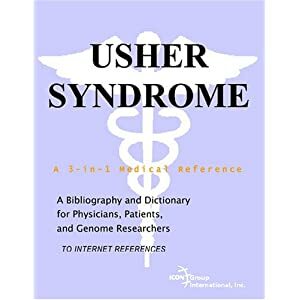 Usher syndrome is the most common form of combined congenital deafness-blindness in humans and affects 1 in 6,000 of the population. It is a recessive inherited disease that is both clinically and genetically heterogeneous. In the most severe cases, patients are born deaf and begin to suffer from a degeneration of the retina in puberty, ultimately resulting in complete blindness. These patients experience major problems in their day-to-day lives. While hearing loss can be compensated for with hearing aids and cochlea implants, it has not proven possible to develop a treatment for the associated sight loss to date. Researchers at Johannes Gutenberg University Mainz (JGU) in Germany have now developed a new treatment approach to this disease. In previously conducted research into this subject, the research team headed by Professor Uwe Wolfrum of the Institute of Zoology at Mainz University had already gained insight into some of the fundamental molecular processes and mechanisms causing this debilitating syndrome. Using the results of this successful basic research, the Usher treatment team in Mainz headed by Dr. Kerstin Nagel-Wolfrum has now evaluated potential ocular treatment options. Their attention was focused on a mutation identified in a specific German family known to develop the most severe form of Usher syndrome. This mutation is a so-called nonsense mutation in the USH1C gene, which leads to the generation of a stop signal in a DNA sequence, resulting in premature termination of protein synthesis. The Mainz research team has now published its latest work on pharmacogenetic strategies for the treatment of Usher syndrome patients with nonsense mutations in the May edition of the journal Human Gene Therapy.